Happy, happy Friday! I hope you had a wonderful day with friends and family yesterday. I just got back to Bogota from Cartagena late last night and it feels soooo good to be ‘home.’ I absolutely loved Cartagena, but after a week away, it feels good to be back in a city, in my home-away-from-home. Speaking of home, it was so strange to be away from family (and turkey, pumpkin pie, mashed potatoes, etc) on Thanksgiving this year, as Colombians don’t celebrate the holiday. It really didn’t feel like Thanksgiving at all (especially since I was in a tropical environment), but I enjoyed taking the day off and laying by the pool all day at our hotel in Cartagena! Much needed R&R that also gave me a lot of time to reflect on all that I’m thankful for. The holidays have been hard for me the last two years, so it was extra nice to have some downtime to hit pause, disconnect, and relax a little bit. Anyway, I’m back in Bogota and back to work! If you’re passing the time in a plane, train, or automobile, or just lounging around the house with family and friends this weekend, here’s a good list of things to keep you busy. Loved seeing how Amy decorated for the holidays! I am OBSESSED with these bamboo dinner plates. Yes please!! Can’t go wrong with a classic white pair of sneakers! Loooove these. 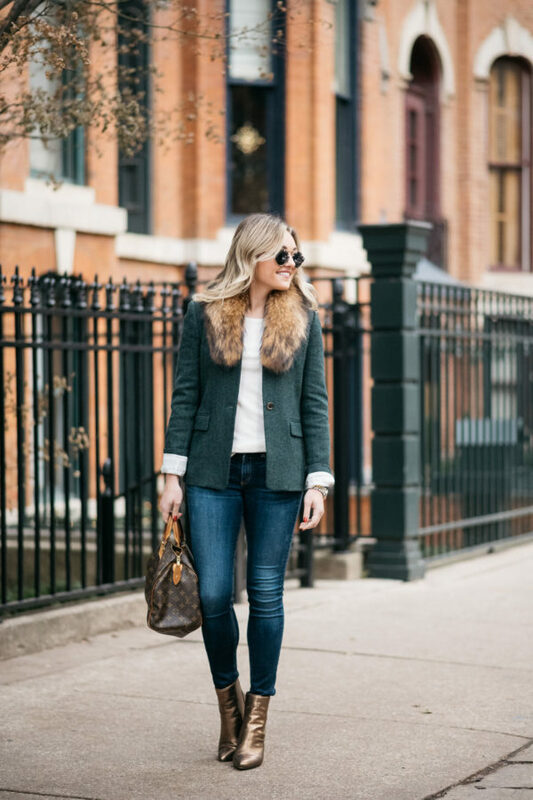 A faux fur vest under $100! Tech-friendly gloves (with a bow) for only $36. A guide to journaling and manifesting from Gabby Bernstein. The $5 glasses I get asked about all the time on IG Stories. Gray Malin is running a 30% off promo this weekend, which rarely ever happens. Use code Turkey30! He’s one of my all-time favorite photographers, you can see some of his work in my apartment here and here! Friggen obsessed with this pink and leopard outfit on Blair. This new recommendation-based social network is suuuuuuper interesting. The boots your wearing here are insane!! Love them!! Happy Friday! Such awesome finds as always!